This article was first published in issue 43 of Woodcarving Illustrated. Sharpening V-tools can be challenging. 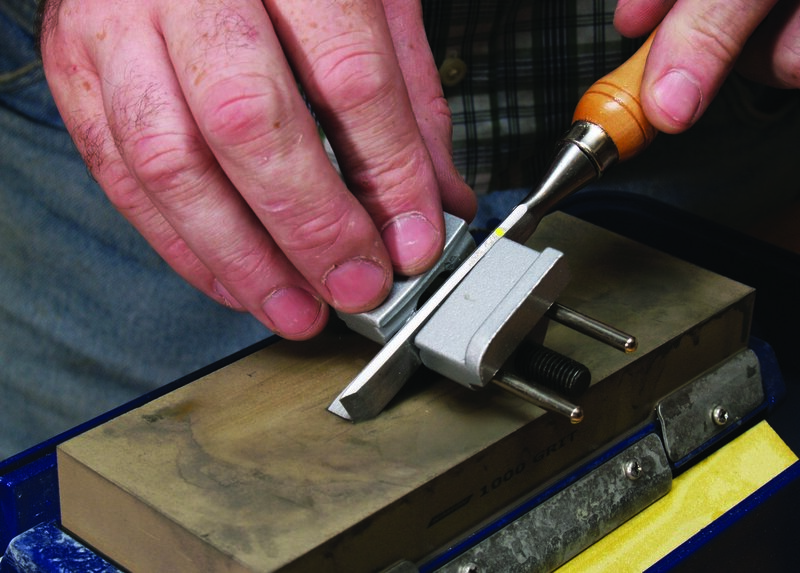 WCI Holiday 2007 (issue #41) presented a simple technique for sharpening V-tools freehand. Many experts recommend learning to sharpen without the aid of power or jigs, but sometimes we need a bit of help. 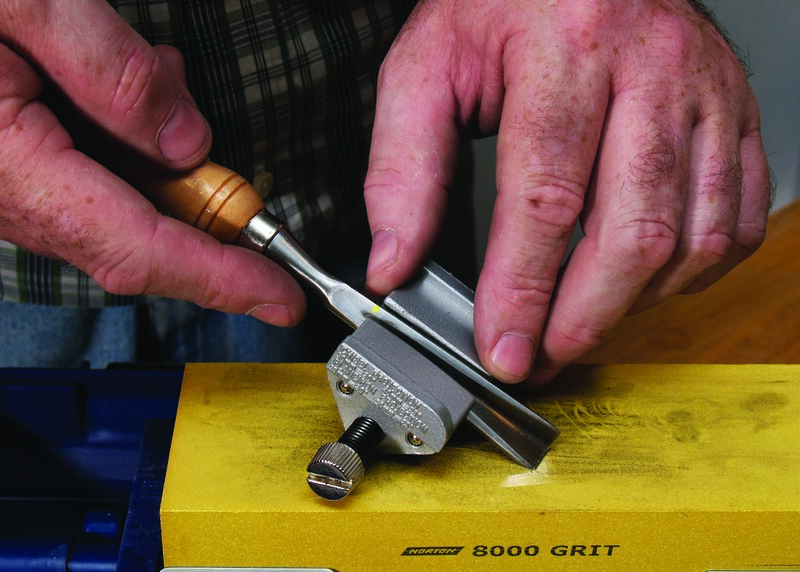 An inexpensive guide like this makes it easy to sharpen tools consistently. Look for a jig that clamps the tool from the sides rather than from the top. Jigs similar to the one featured in this demonstration are available at most woodworking supply stores. The prices range from $11.95 to $17.95. 1. Establish the bevel. Lock the V-tool in place with the flat side of the V-tool against the flat edge of the jig. Set the jig for a 20° bevel and mark the end of the guide on the V-tool. 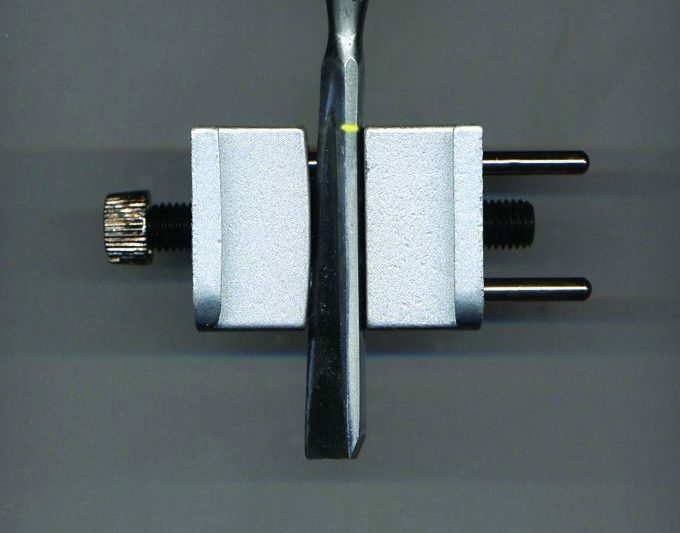 Work one side on a coarse diamond stone, then flip the jig around and lock the opposite side in place, aligning the jig with the mark on the tool. Work both faces equally. 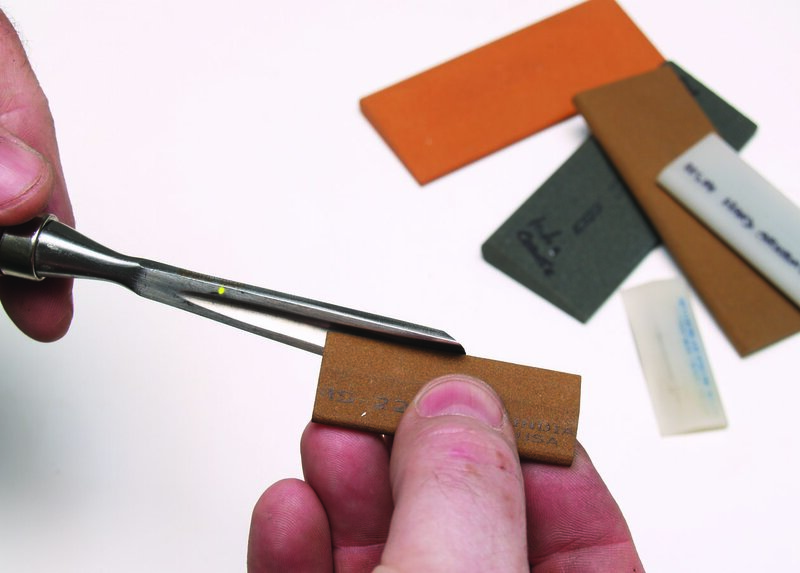 Feel for a burr to form the whole way across both edges, then use a small diamond file to remove it. John has been working with wood since the early 1980s. 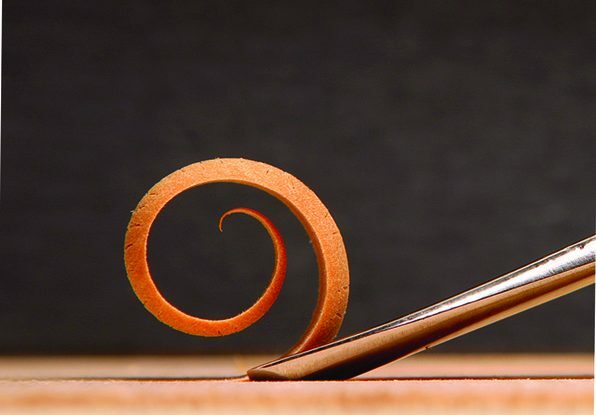 He is a contributing editor to Woodcraft Magazine and a former editor of Woodworker’s Journal. He is the author of numerous articles in various other magazines, and publishes Woodezine, an online magazine for woodworkers. 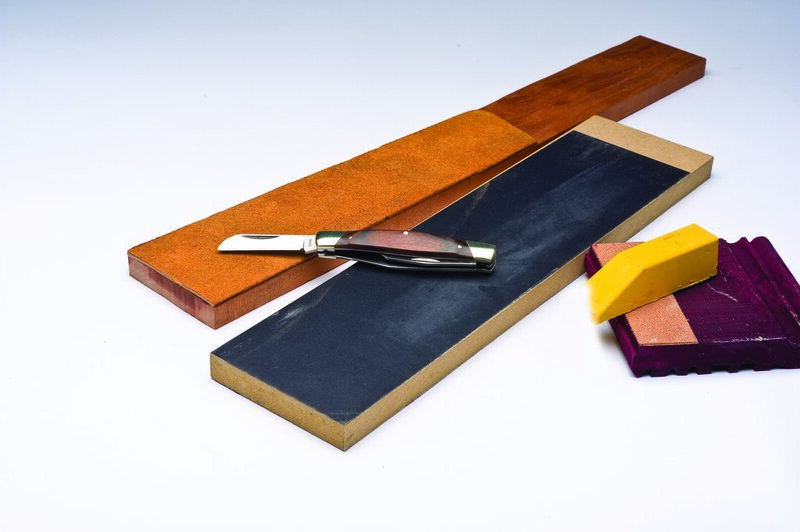 Purchase the Woodworker’s Guide to Sharpening for a comprehensive guide to every sharpening method from craftsmen Sam Maloof, Norm Abrams, and more!